By checking the box for "Connect issue references and log keywords" and adding a comment when you commit, the comment will automatically post on the issue. The issue's status also can be changed by entering certain keywords (such as #closes, #fixes). 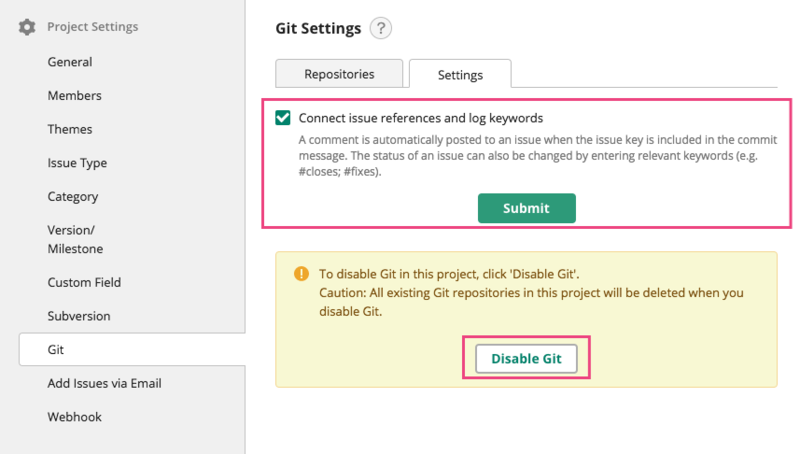 Choose "Disable Git" to stop using Git on the Project. In cases like moving commits from other repositories when there are no users on Backlog, the updated people would all change to a specific user.